You'll still need to ask each assistant to "open" the other before you can access the additional controls, as in, "Alexa, open Cortana". Starting today, U.S. -based users who want "early access to the collaboration" can start talking to Cortana via their Echo devices and to Alexa on Windows 10 devices and Harman Kardon Invoke speakers, which are powered by Cortana. Microsoft tells us that "many" of those skills will be available at launch, with more coming later down the line. One would hope that this integration will become smoother over time: it would be much simpler if an Echo let you speak directly to Cortana and a Windows PC directly to Alexa without having to switch-after all, each command is prepended with the assistant's name. Nearly a year ago, Microsoft and Amazon announced a deal via which the two would enable their respective virtual assistants to work together. Microsoft has pushed back the arrival of the integration a number of times, but early this year at Build 2018 Microsoft finally showed off the technology in action. 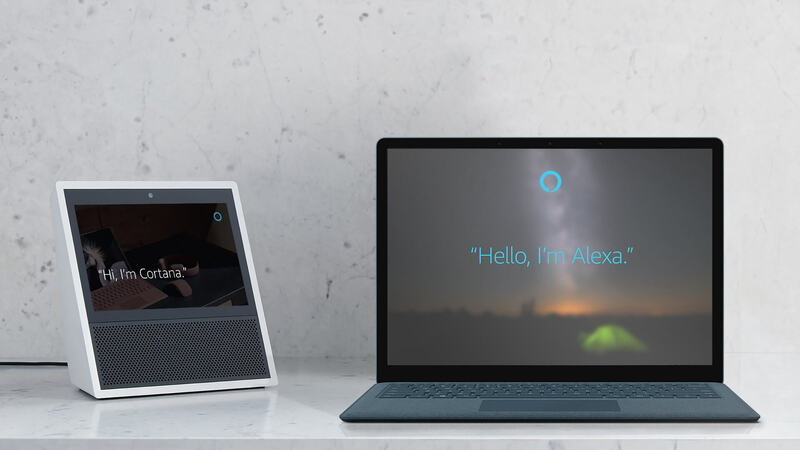 Similarly, on devices powered by Alexa, including Amazon's Echo speakers, users will be able to summon Cortana by saying "Alexa, open Cortana". The Verge reports that Microsoft and Amazon have released a wider public preview of its previously teased deeper integration between the Alexa and Cortana digital assistants - available for everyone in the USA right now. During the preview period, only limited set of features are available. Today, Amazon and Microsoft are officially unveiling the Alexa/Cortana integration. "This is just the start for Alexa and Cortana", the Amazon blog post continues, "which means features like music, audio books, and flash briefing will not be available immediately". Microsoft says the integration will start rolling out to customers Wednesday and will reach all USA customers within days. The feature would work by using the keywords "Open Cortana" on the Alexa, which opens a portal onto the Cortana service.